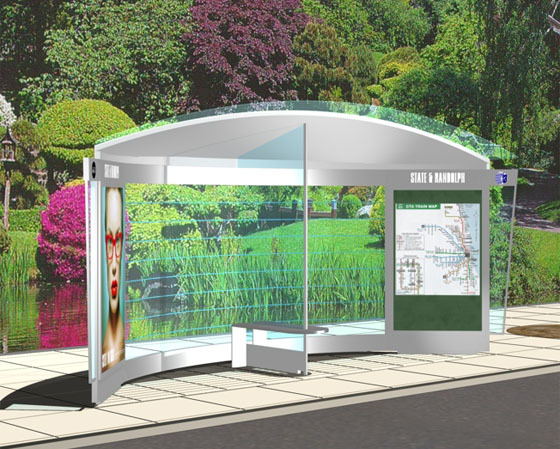 This design for a bus shelter prototype attempts to break away from the traditions of a “stubby glass box” by instead adding a sense of shelter through the enclosing action of a curve. On the sidewalk, the curve smoothes pedestrian flow around it. The curve is also inherently more structurally stable and offers a maximum, but subtle, opportunity for maps and signage to be viewed from the sidewalk and street.